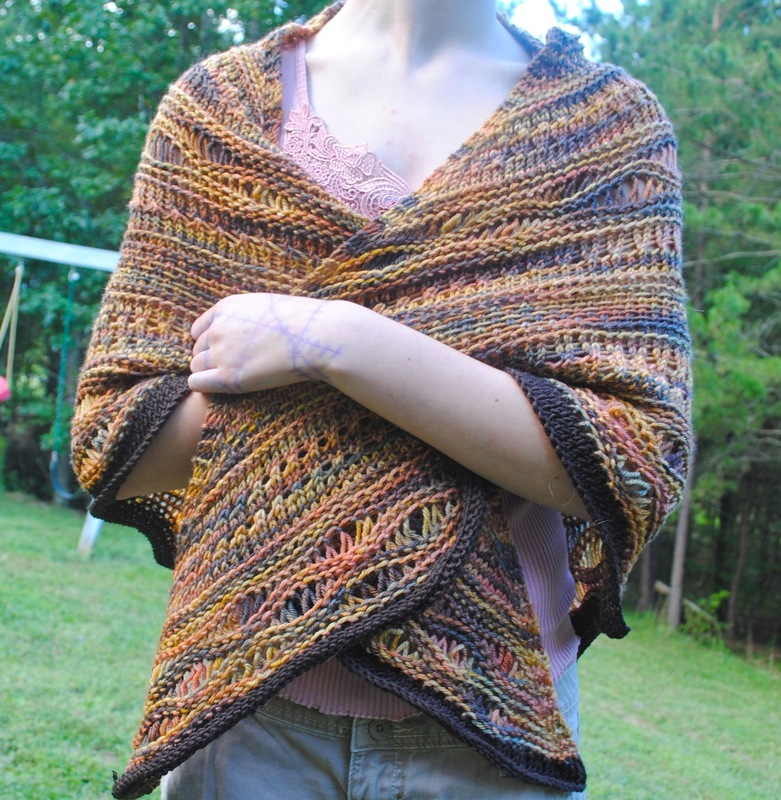 I finished my Far Away / So Close shawl last week and was waiting for a good day without rain to take pictures of it. As you can see Emily is still quite fond of modeling knitted goods. Fortunately she’s actually good at it. When I bought the yarn back at Rhinebeck I was in love with the fall colors in it – all of my favorites. But then, while I was knitting with it I was afraid it looked a bit too much like an old couch my parents had in the 70’s. However, once I blocked it I feel in love all over again. 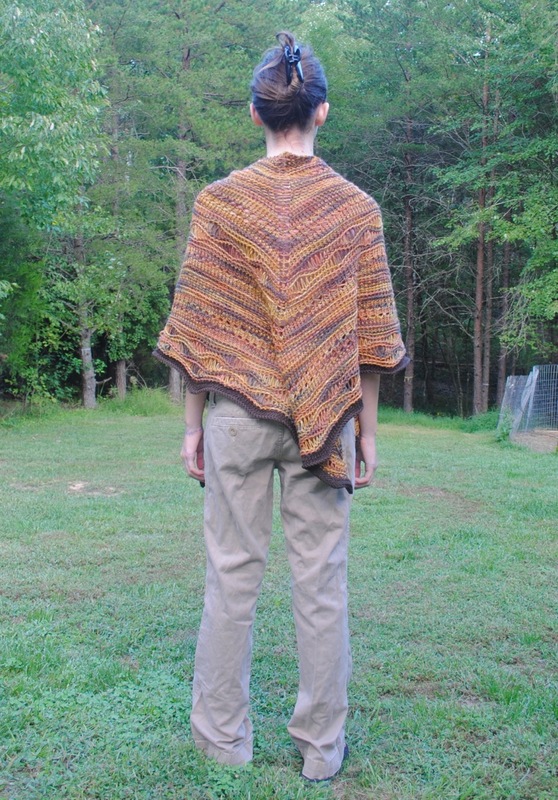 I love how perfect this is for throwing on on a nice crisp autumn evening. 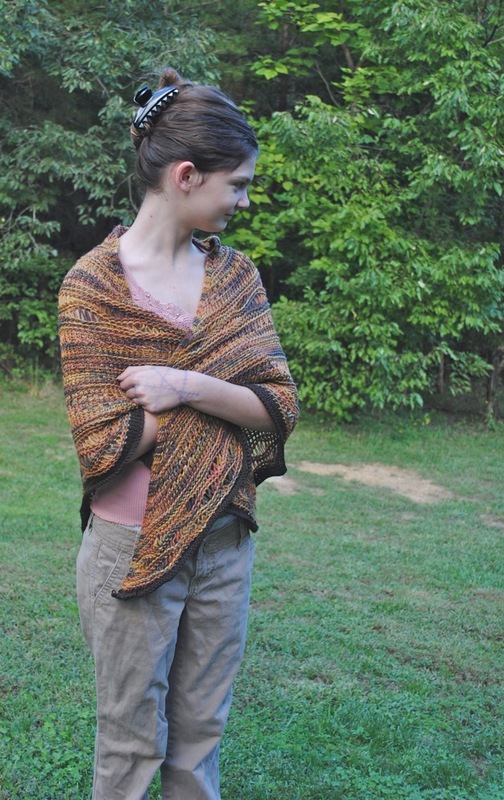 The colorway is Spices and it’s from Maple Creek Farm yarn. I would love to buy more of their yarn but their website seems to be non-functional and I can’t find any on the internet. I should have bought some back at Maryland Sheep & Wool this spring. Either way this was an easy and enjoyable knit and I will certainly be making plenty more. This entry was posted in Uncategorized and tagged Knitting. Bookmark the permalink. ← Meet the New Babies!!! I like that it is a heavier yarn. Something I can even tackle!! Very beautiful young lady modeling!